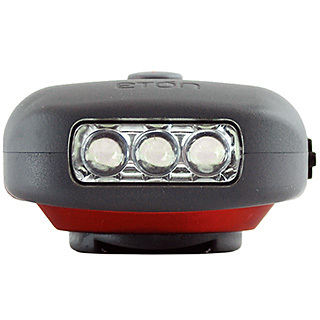 The Eton Clipray is a powerful self-powered LED flashlight. 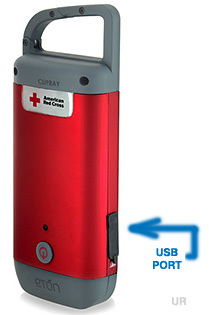 It is great for emergencies or that next camping trip. One minute of cranking at 2 revolutions/second yields about 10 minutes of illumination. 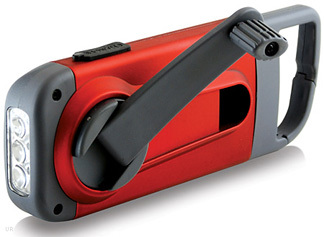 And it even has a Carabineer clip for hands-free use. It also features a USB cell phone charging port that is protected by a rubber cover. This is a very handy emergency item! Put one of these in your glove compartment. 2½ x 6 x 1½ inches.